Many people think of Labor Day as the unofficial end of summer, a last chance to relish barbecue and the outdoors. However, the origin of Labor Day goes back to 1885 when the day was first observed to honor the achievements of America’s workers. So in addition to firing up the grill this holiday weekend, why not spend some time celebrating your Appleton senior parent’s or grandparent’s professional achievements? Whether he or she was a teacher, soldier, or homemaker, asking questions and creating a life story can provide a meaningful and memorable way to spend time together. After making sure your Appleton senior parent or grandparent is open to it, set aside some time to sit together and ask about his or her career. There are a number of ways to do this. You might give a curious grandchild the assignment to act as a “reporter” for the day, coming up with questions to ask Grandma or Grandpa about education and work. Or, you might simply gather the family around for a casual conversation. 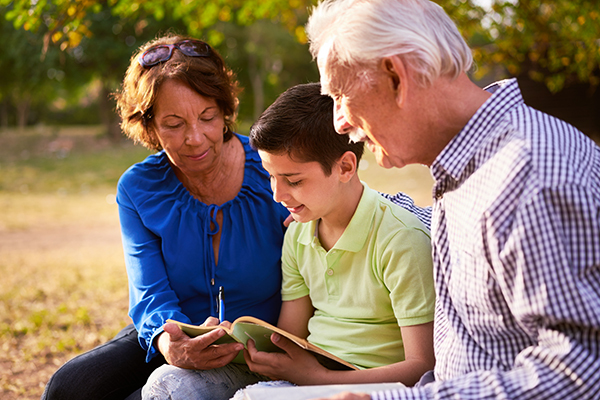 When the life story is complete, spend some time looking over it with your Appleton senior parent. The exact timing of this is flexible: you might have the initial conversation on Labor Day and present the life story later, or you could have the conversation in advance and present the life story on Labor Day. However you plan it, think of this as an opportunity to learn more about your loved one and show them that the work they’ve done is important and appreciated.